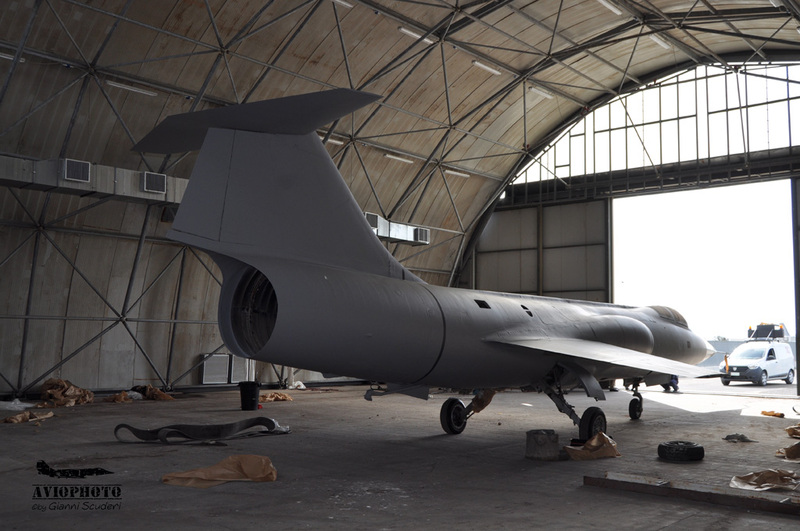 When in 1973 the c /n 783-1116 left the FIAT plants in Torino to be delivered to the interceptors of the Aeronautica Militare, no one could have imagined that this F-104S specimen at the end of its operational life would have found “home” in a based on the extreme borders of the Italian peninsula. 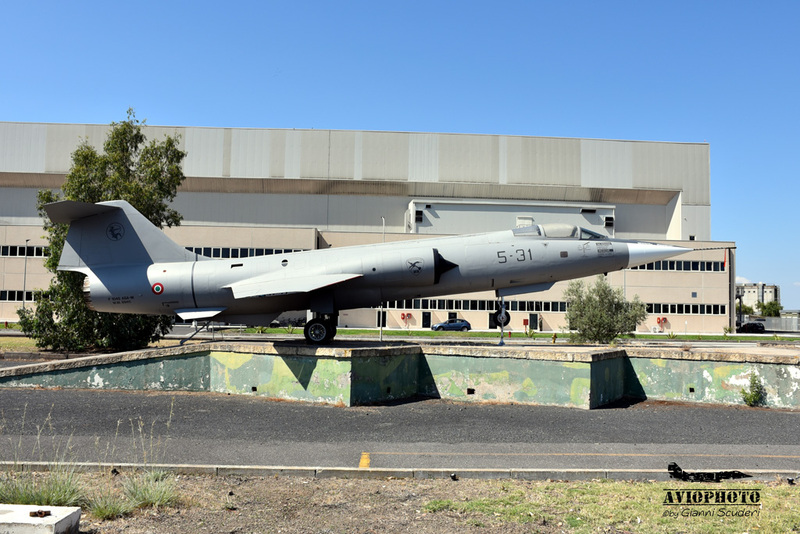 In reality the more or less fixed presence of the “pins” on the Etnea base has never been an unusual fact … just think of the 441st STO Group Technical Section F104, commonly known as “cellula”, created ad hoc to host and manage the risk on the Sicilian base of a section of four F104S then ASA, supplied on rotation by the interceptor units with the delicate task of the Air Defense of the southern borders. 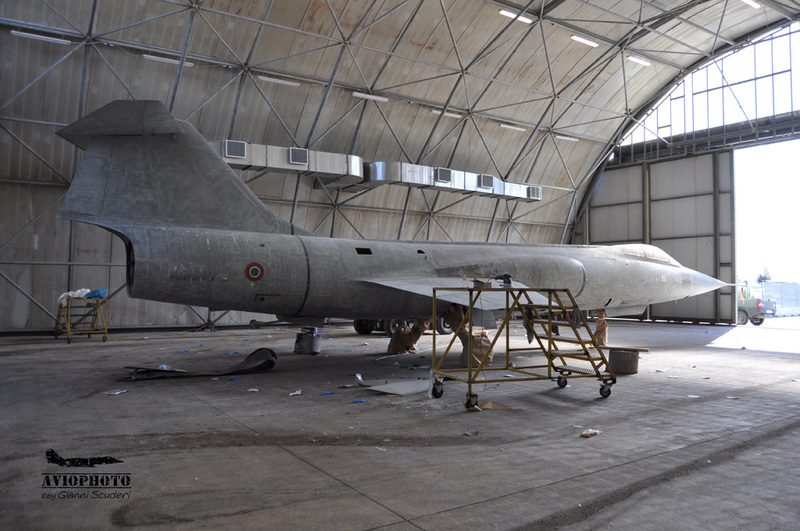 Those were “hot” years and it is more than likely that this specimen has stationed on Sigonella RAM 5 in alarm with the “umbilicals attached”, armed and ready in 5 “… after many years in 2008 a ” Starfitgher” returns to Sigonella to act as Gate Guardian. 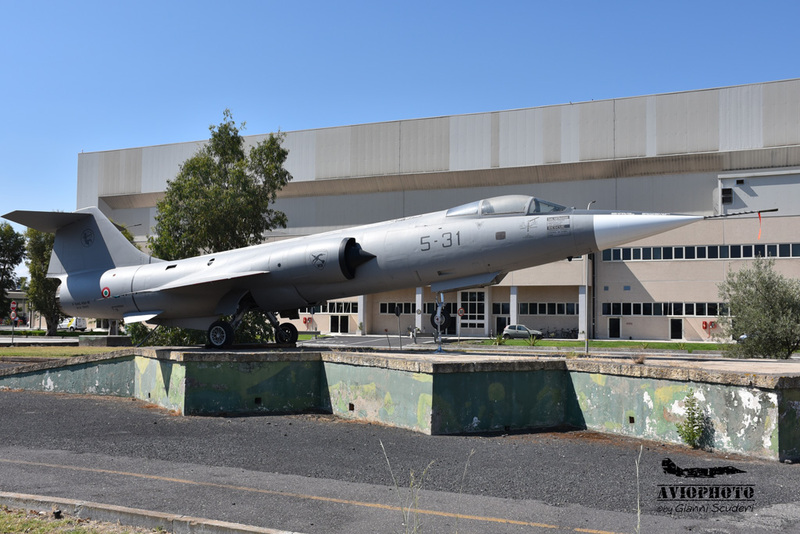 The operational history of “our” F-104S begins on 26 September 1973 when it was delivered to the Italian Air Force … on 4 December 1974 with MM6816 and wheelchair numbers 36-16 is in force at the XII° Fighter Group of the 36th Wing of Gioia del Colle AB. 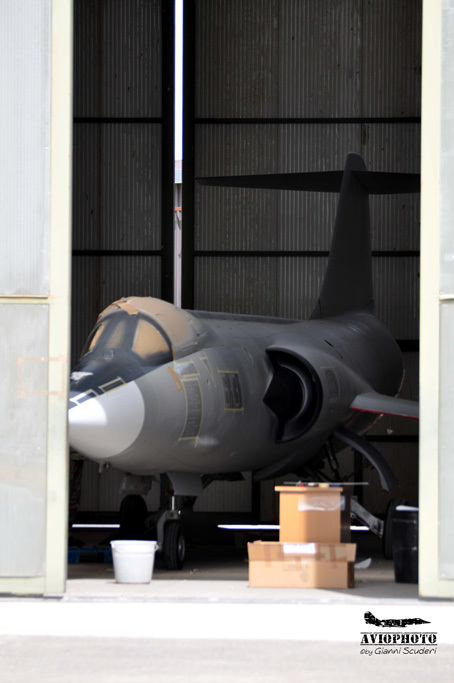 Subjected to the first IRAN on July 22, 1977, he was subsequently sent to the X° fighter Group of the 9th Wing on September 25, 1978. 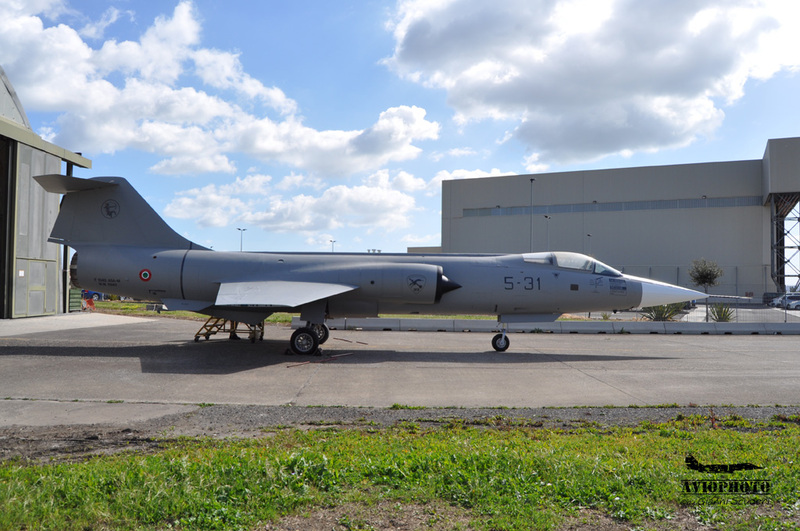 Following the second IRAN on March 14, 1984 he worked in the Reparto Sperimentale Volo based on Pratica di Mare from March 9, 1984 to February 18, 1986 year in which he returns again to the X° figther Group this time coded 9-43 until June 14, 1989 date on which he carries out the 3rd IRAN and is brought to the ASA standard … on October 2, 1990 he is assigned to the 21st CIO Group of the 53st Wing assuming queues 53-14. 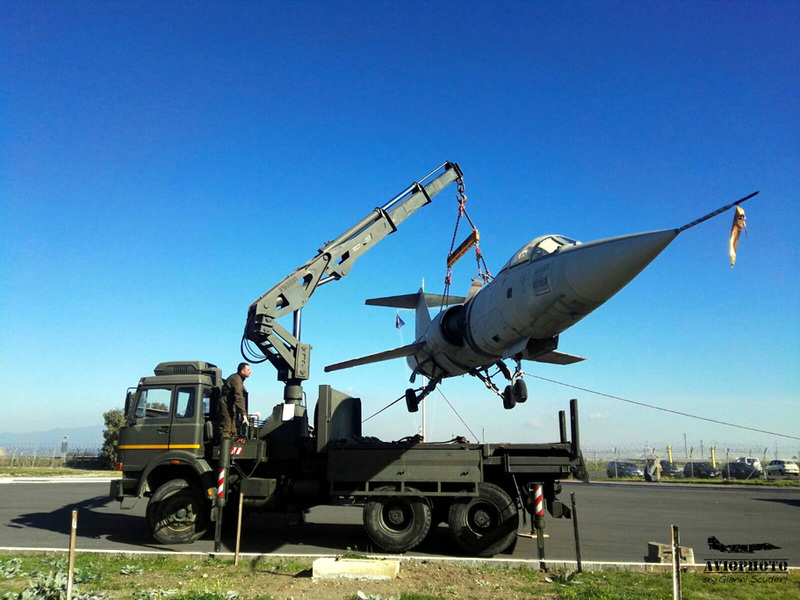 Performs the 4th IRAN on January 28, 1995 where it is repainted according to the new camouflage scheme in Sky Gray and delivered again to the X° figther Group of the 9th Wing of Grazzanise with code 9-40. 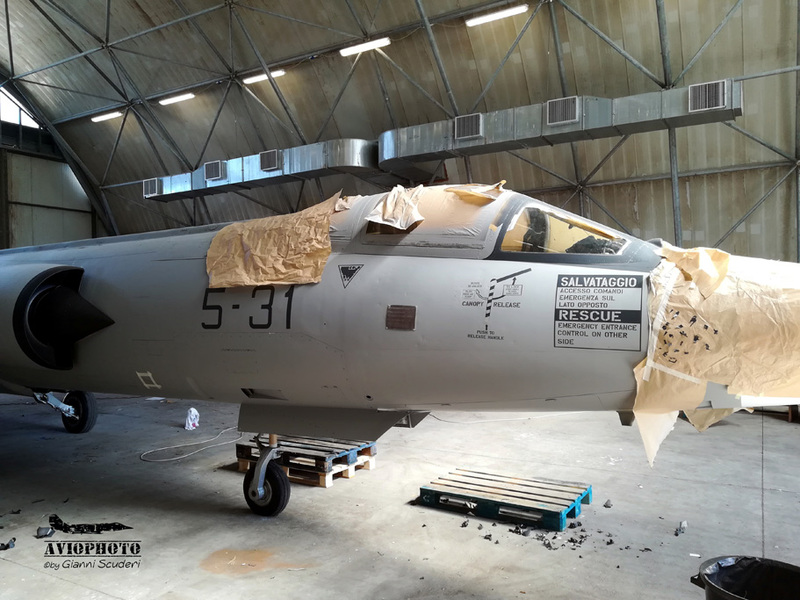 On September 26, 1999 along with other assets will be redeployment to Amendola AB within the device “Allied Force for Kosovo” and September 21, 1999 is assigned to the 4th Wing of Grosseto, codes 4-6, making the last flight on September 21 2001. 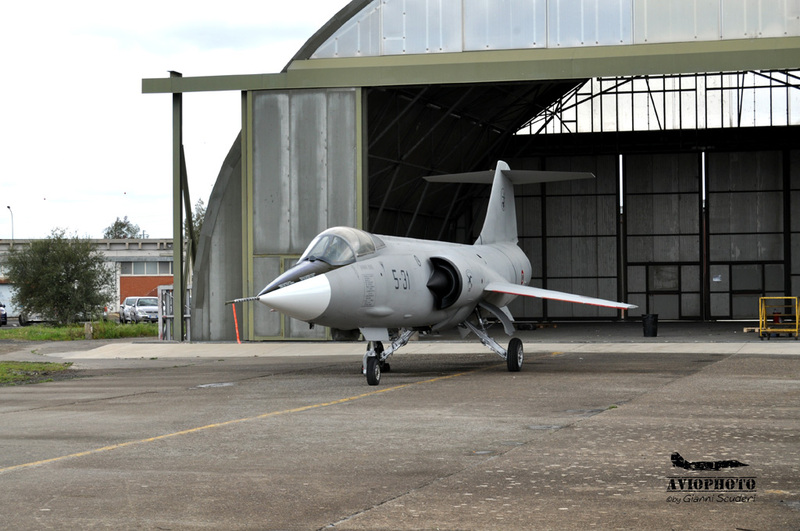 Withdrawn from the first line with 4363 flight hours and declared FU (use heaters) it is set aside at the 4th RMV (Technical Aircraft Group) of Grosseto AB and then “permanently” definitively transferred to Grazzanise AB on 21st September 2004. 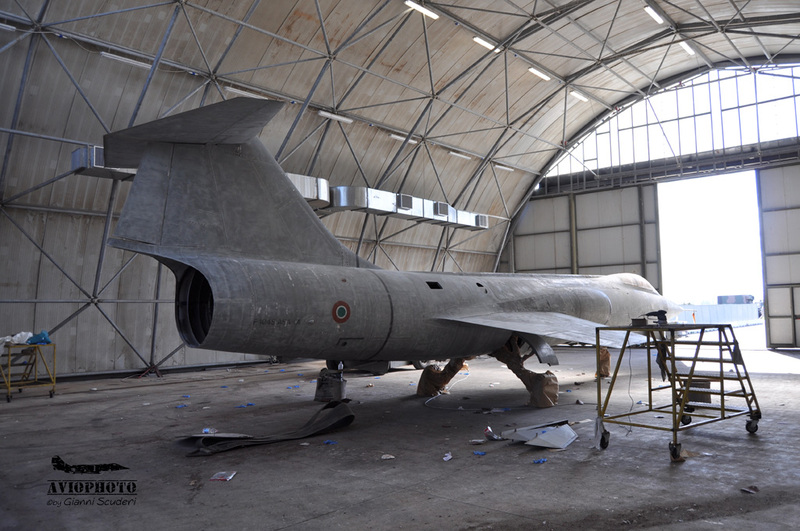 From this storage center, in 2008 the private unit of the drive unit and the complete passenger compartment was dismantled and transferred to a truck to Sigonella AB to be reassembled by the GEA (Technical Aircraft Group) specialists and positioned, without department signs, in the 41st Wing square in August of the same year. 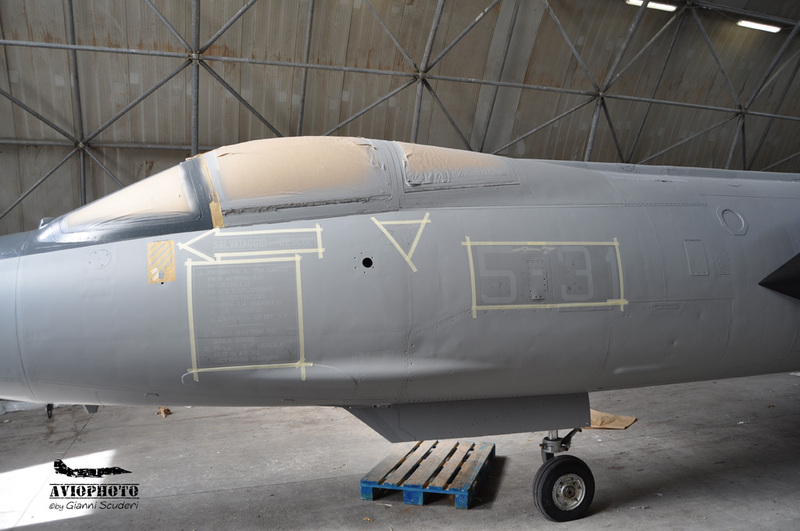 After 10 years of exposure to the scorching Sicilian sun which has aged and extinguished the livery, thanks to the will of Col. Pil. 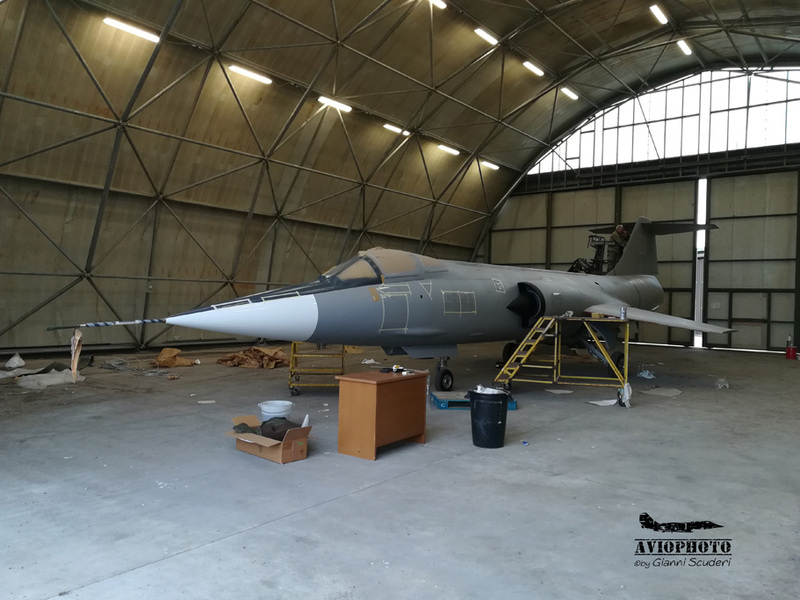 F. Frare Commanding the 41st Wing and Sigonella AB, in March 2018 takes shape and part of the “F104 recovery program”. 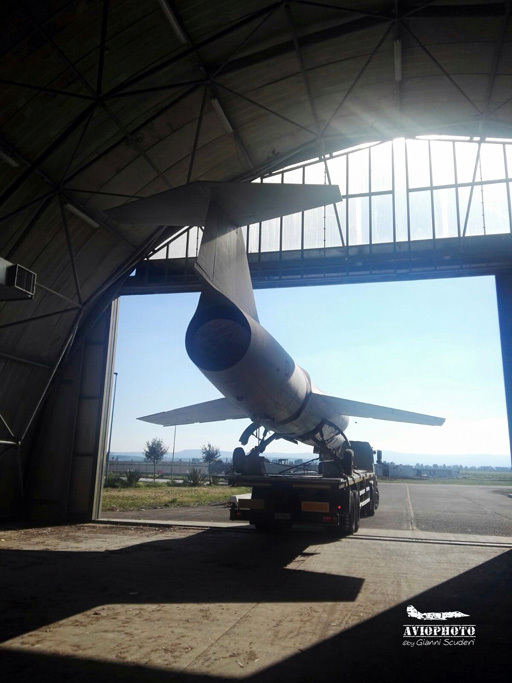 The restoration begins with the transfer of the cell from the square to a decentralized hangar with the help of an Aeronautica Militare mobile crane … from here qualified staff of the GEA (Efficiency Aircraft Group) of the 41st Wing begins to take care of the aircraft. 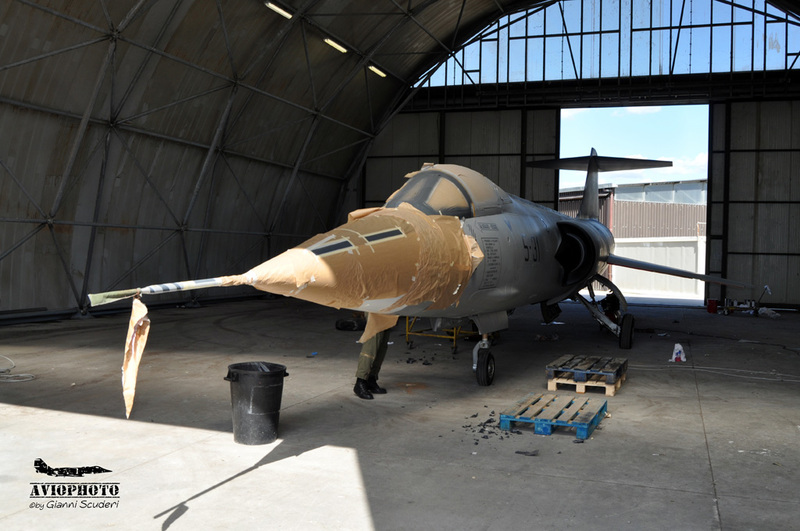 As normal in these cases the problems are not long in coming, in fact some parts are missing including the exhaust nozzle while others like the tires are deteriorated and in poor condition and despite the F104 has been operating in a large number of exemplars the parts of respect are beginning to be scarce since almost all the cells have been sent to the pulp for some time. 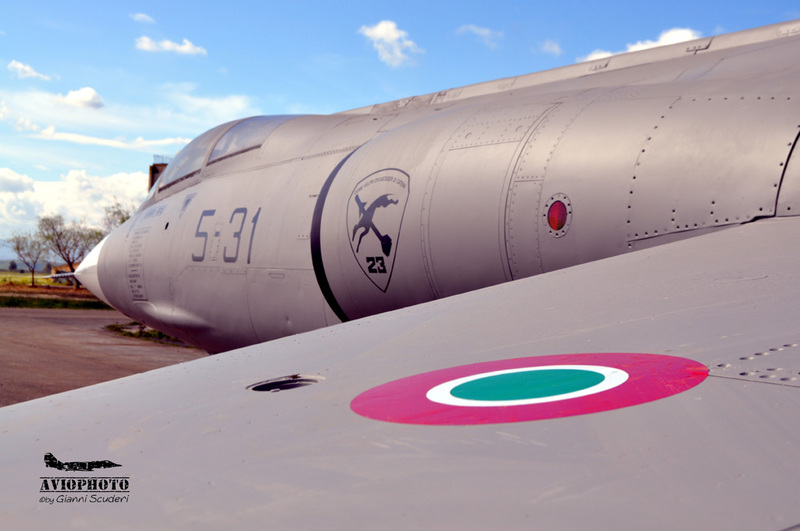 But the men of the 41st do not lack courage, presence of spirit and stubbornness and in fact they manage to recover the missing pieces in Grazzanise and Grosseto, while the masks for making codes, departmental emblems and cockades are provided by the 23rd Group. 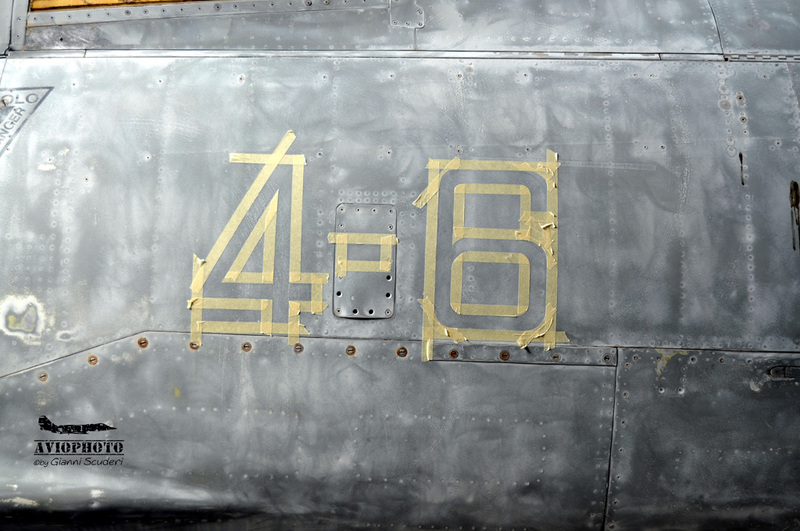 A moment of emotion occurs when, following the paint stripping, the optical codes 4-6 appear in the fuselage and the emblem of the 9th Wing in the tail unequivocally revealing the last operational user of the aircraft, almost a sign of destiny in the year in which celebrates the centenary of the death of the Axis of the Aces Francesco Baracca! 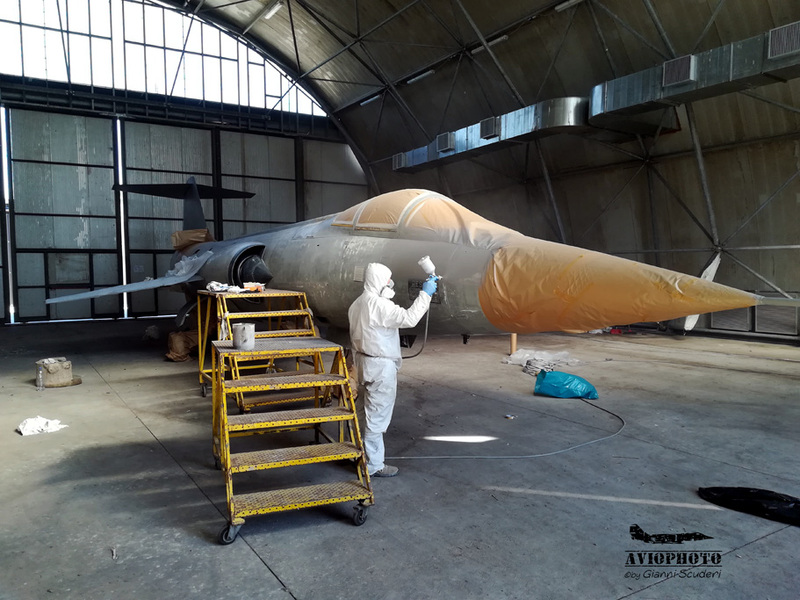 The painting in Air Superiority Sky Gray is carried out thanks to the collaboration of the staff of the 11th RMV in “loan” for the particular occasion … in short, a work all done at home! 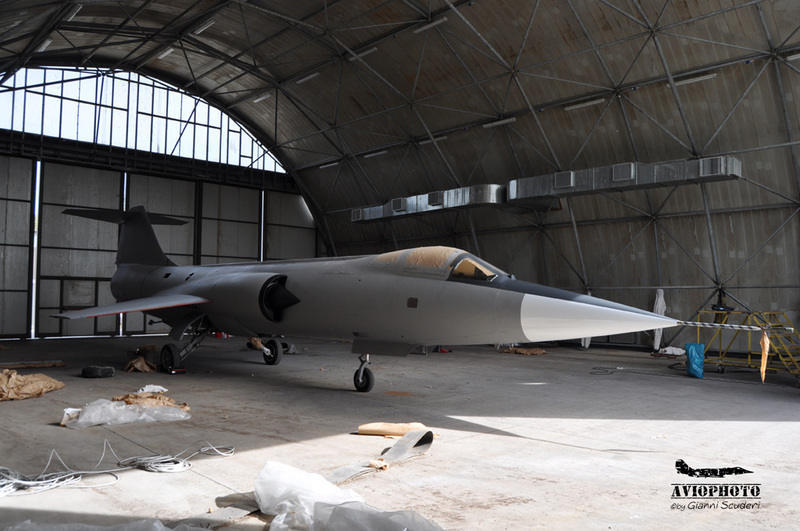 As for the heraldry, it has been chosen to represent a “Veltro” of the 23° fighter Group of the 5th Wing, family section in Sigonella during the redeployment of the F104 Technical Section. 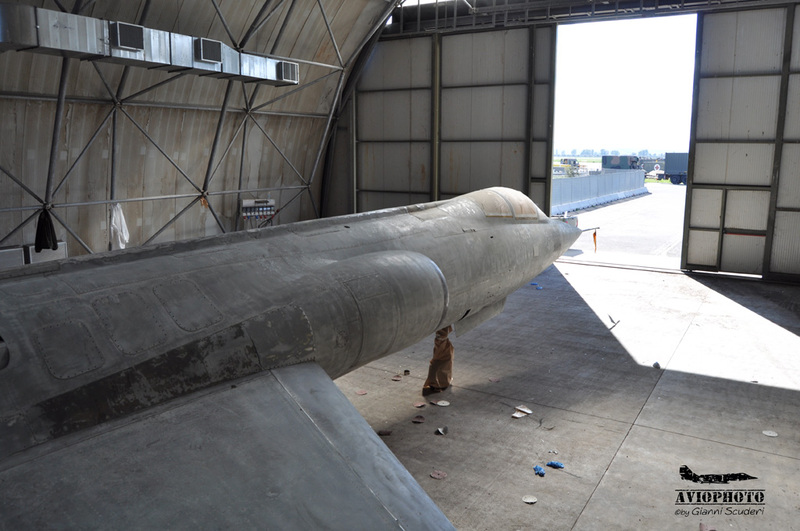 Even the writer has had the exciting privilege of giving his own modest contribution to some phases of the restoration … a unique and unforgettable experience for a “Starfigther“ enthusiast. 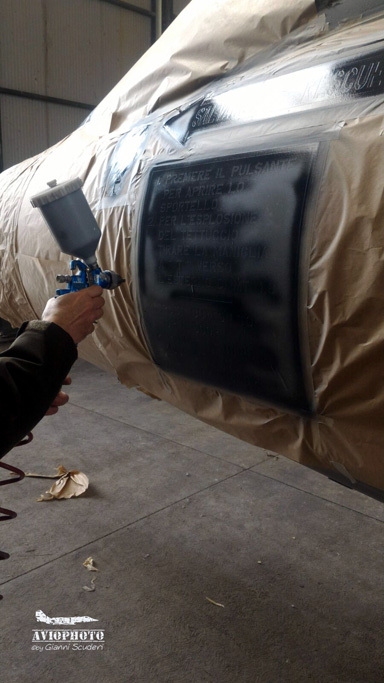 At the end of the restoration our “Spillone” had the honor of the news by participating as a guest of honor at an event organized for the celebration of the foundation of the Italian Air Force – Aeronautica Militare. 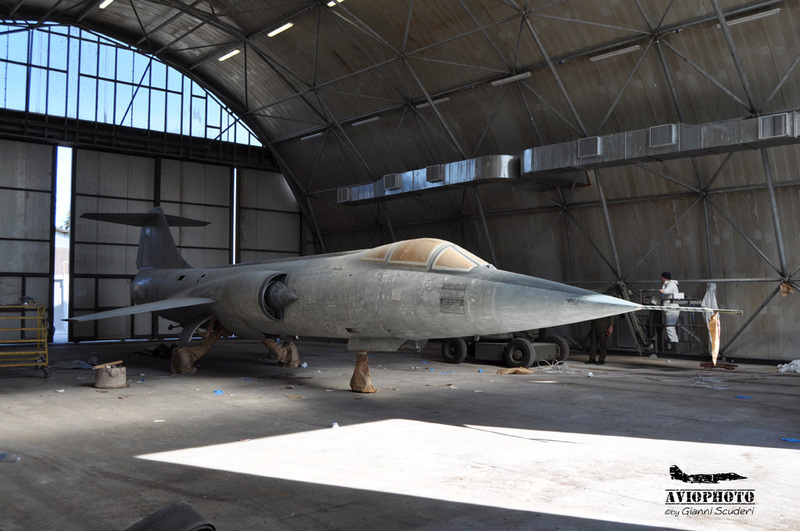 In conclusion, a wonderful initiative by Commander Col. Francesco Frare that from Aeronautica Militare aircraft enthusiasts we hope will not remain isolated and that will soon be addressed also to other historical “monuments” present on the site of the 41st Wing, Grumman S2F, BR1150 Atlantic and why not even the armored Humber MK III used by VAM ( Aeronautica Militare Security) , to give them the shine they deserve. 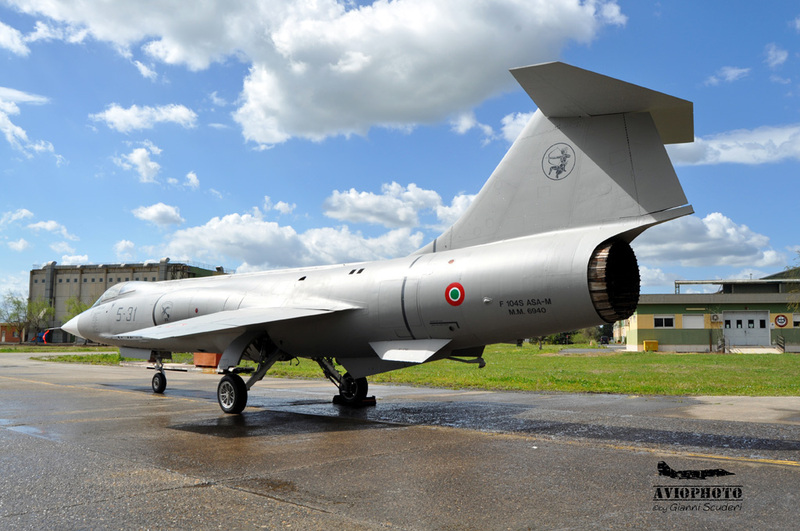 The author wishes to express his personal thanks to: Italian Air Force HQ; Col. Pil. 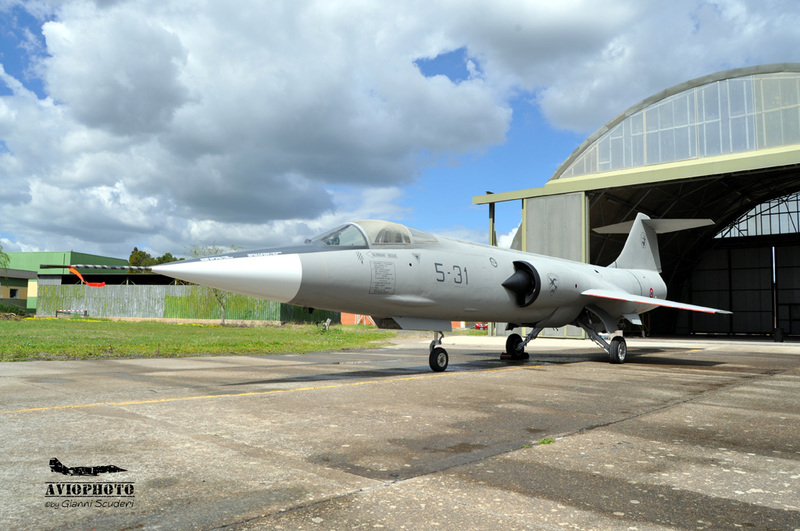 Francesco Frare Commanding the 41st Stormo and Sigonella AB; T. Col Alfredo N. Commander of the GEA 41st Wing in the restoration moments; T. Col. Antonino S. actual Commander of the GEA; 1st Lgt. 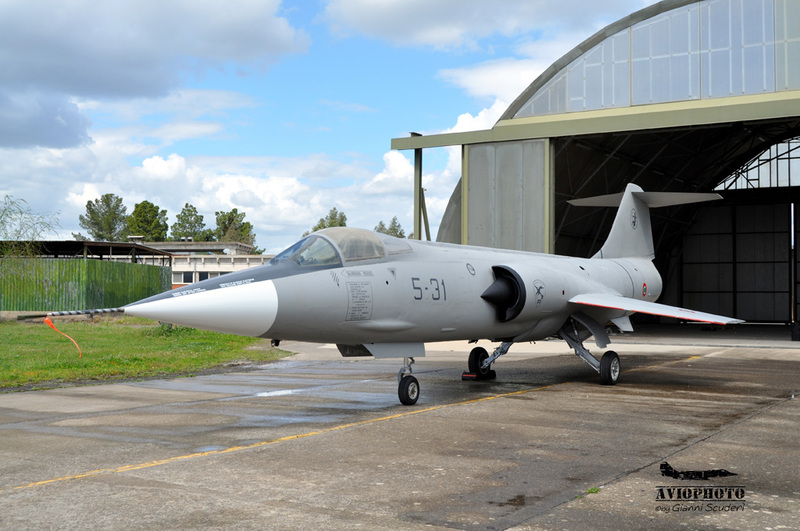 Carmelo Savoca PAO 41st Stormo. 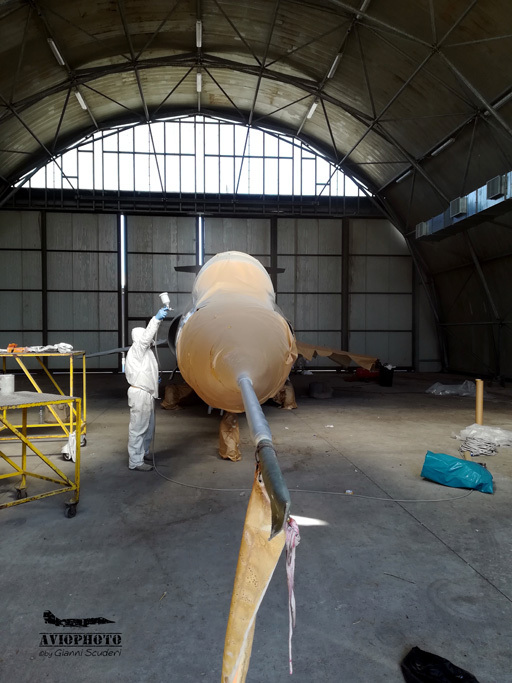 A special thanks to the “friends” of GEA for their passion, professionalism, availability in the execution of the restoration.